Welcome to the first edition in my new blog series; My Winter Survival Kit. 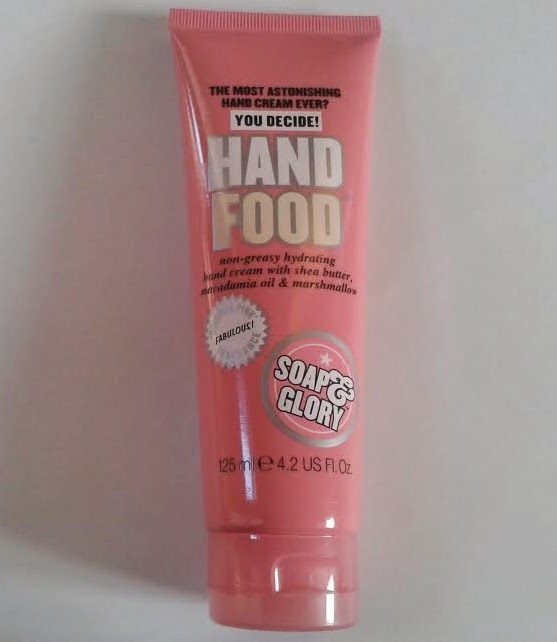 This week we will be taking a look at a product that serves my hands well during the colder months, Soap and Glory's 'Hand Food'. 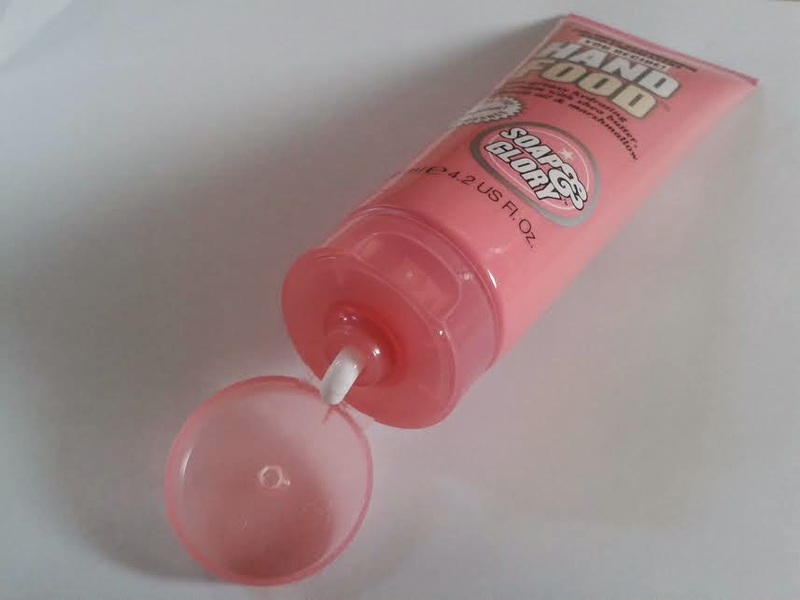 This product is one of my all time favourites from Soap and Glory. It has the signature scent that we all associate with Soap and Glory which is so divine, I could sit and smell it all day long. Aside from the scent itself, the texture of the product is wonderful, it feels lovely and soft and leaves your hand feeling the same way. It's not greasy AT ALL, which is the most crucial element for me in a hand cream. There's nothing worse than putting a hand cream on, only to find you have to wait about an hour for your hands to dry before you can do anything again! Then, we come onto the packaging. I absolutely love it, it's so girlie and pink and just fits in with the ethos of the brand. As does the name of the product, which is true Soap and Glory style is a play on words. I can't cope without this product, and at this time of the year when my hands get dry and sore, it has an even bigger presence in my life!